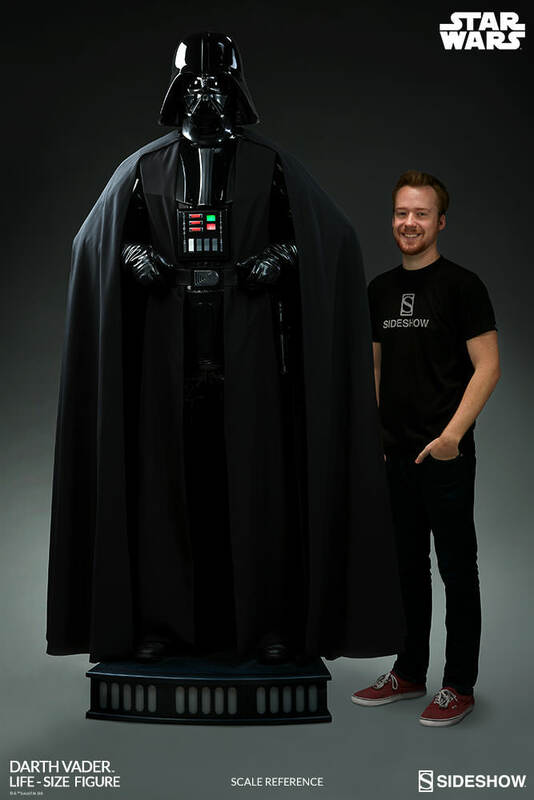 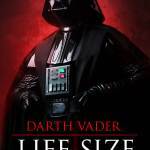 Back in 2014, Sideshow Collectibles released a Life Size Darth Vader. 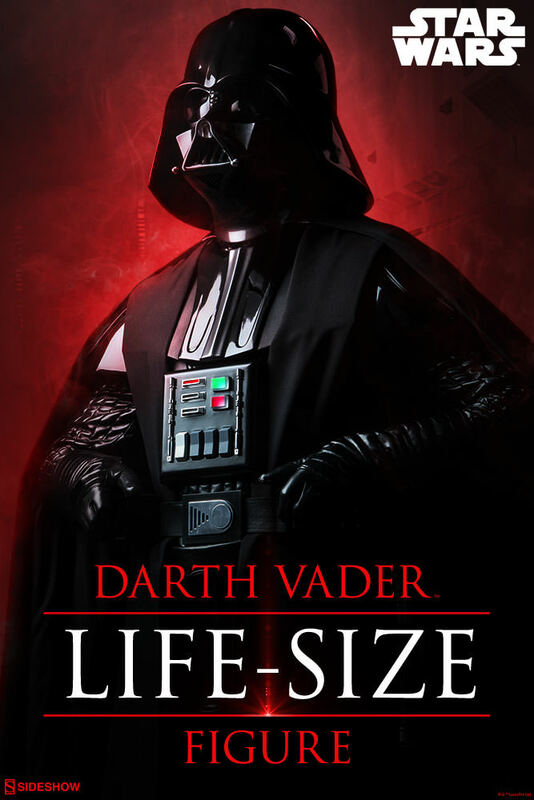 Now, a few years later, they are prepping to release a new version of the massive collectible. 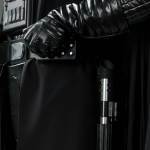 Sideshow has posted photos and details for the upcoming release. 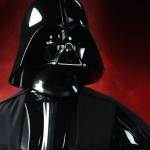 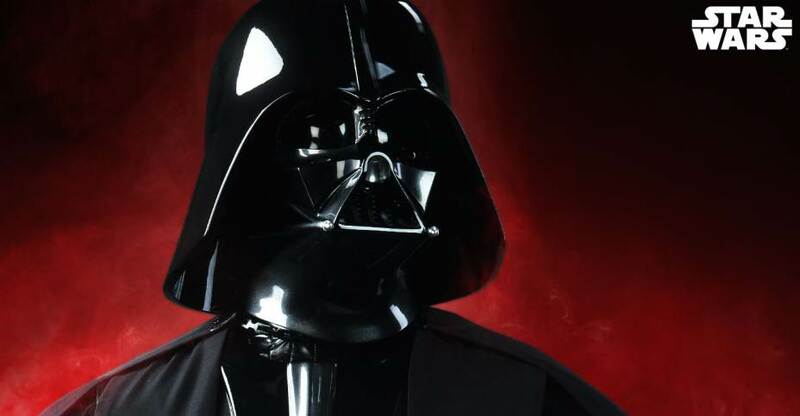 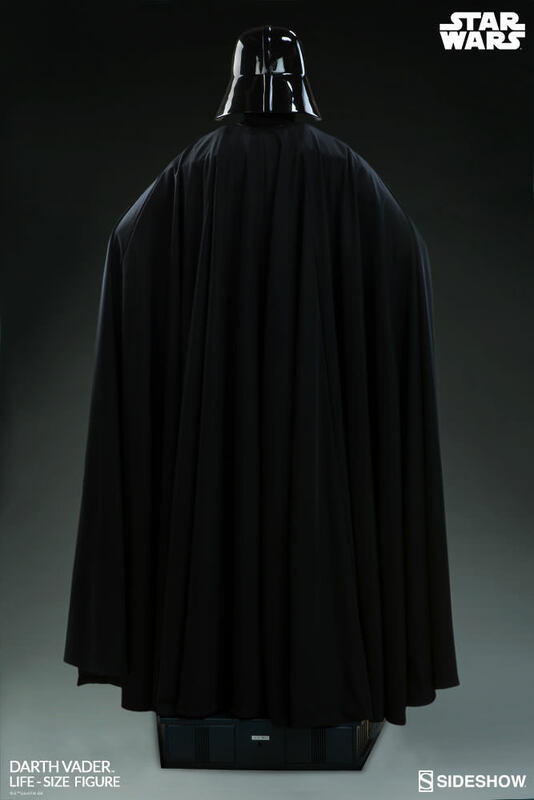 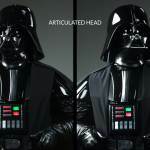 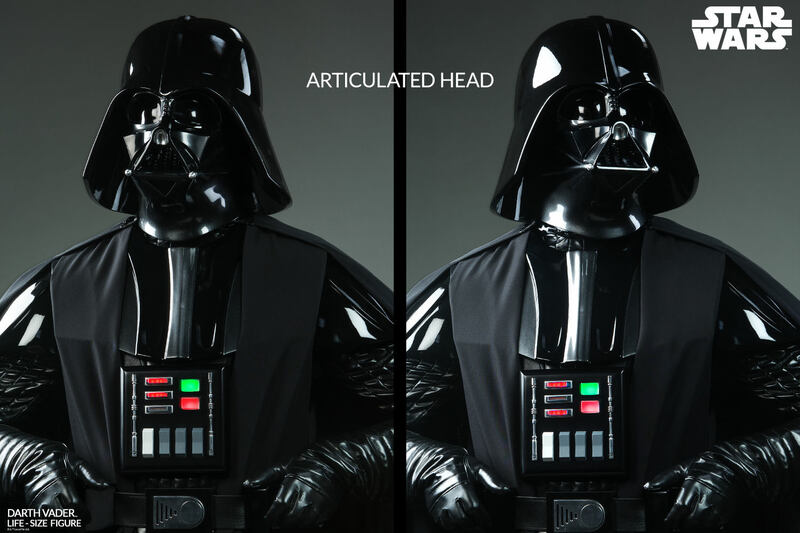 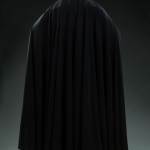 The previous version was based on his appearance in Star Wars: Episode VI – Return of the Jedi, while the new Darth Vader Life Size Figure is based on his appearance in Star Wars: Episode IV – A New Hope. 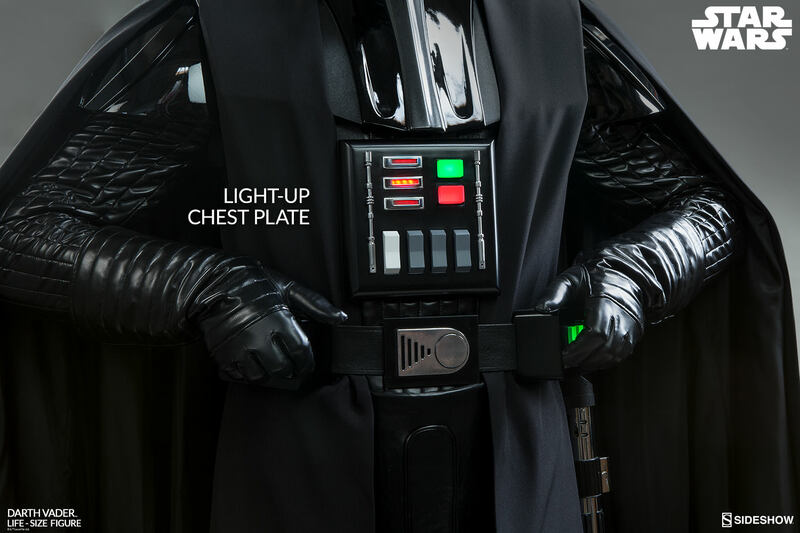 The most telling detail is the chest plate, which uses the design from A New Hope. 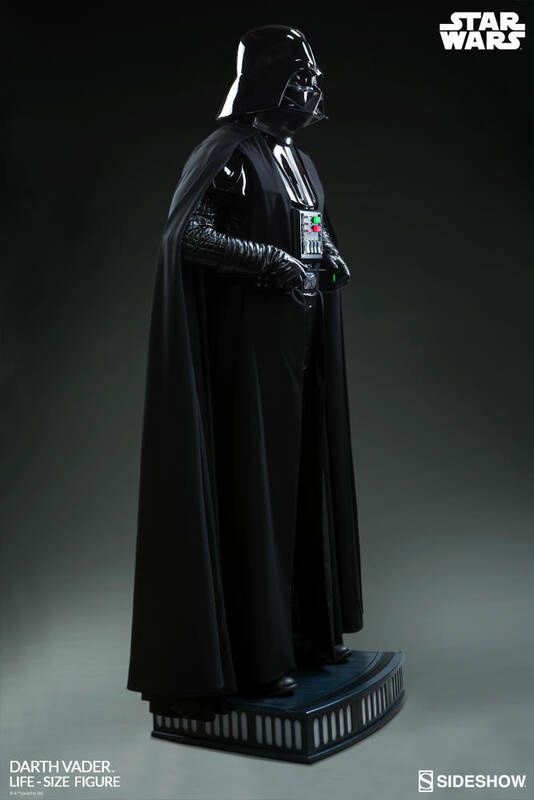 The huge statue stands over 7 foot tall on a light up themed statue base. 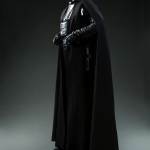 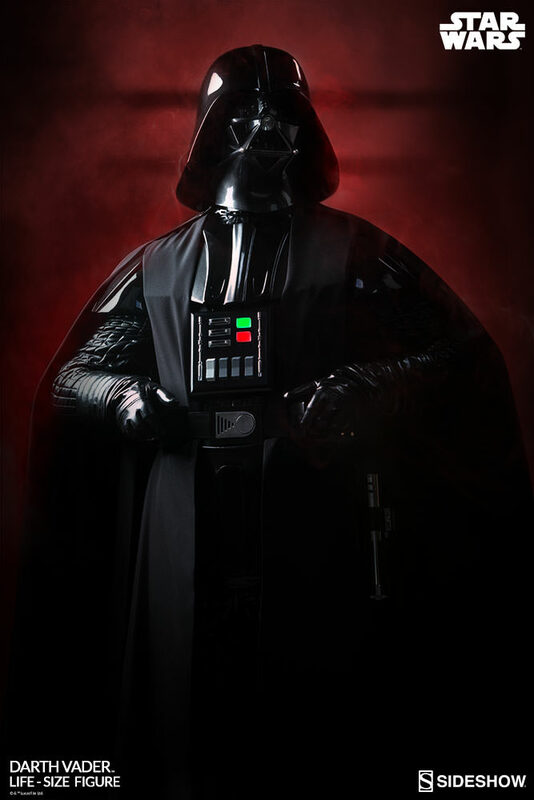 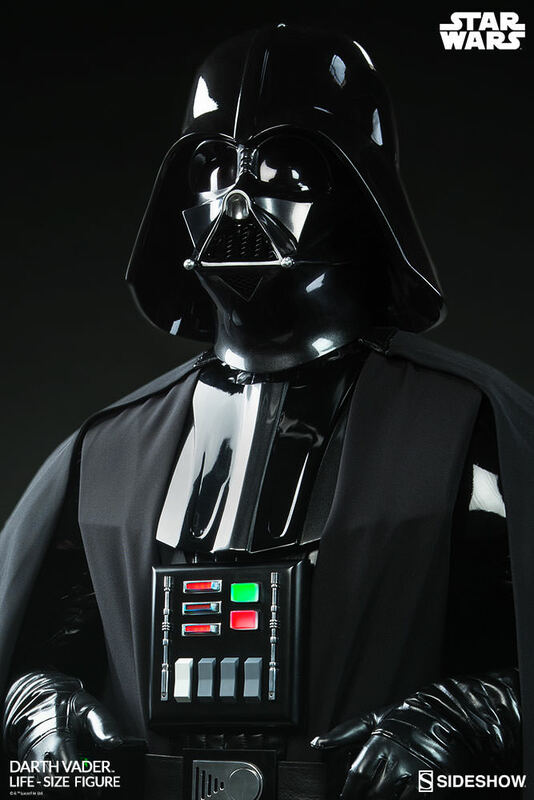 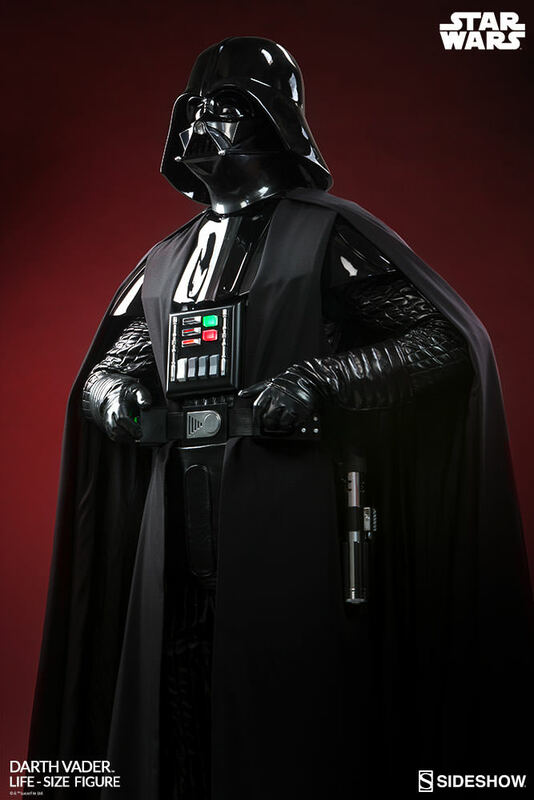 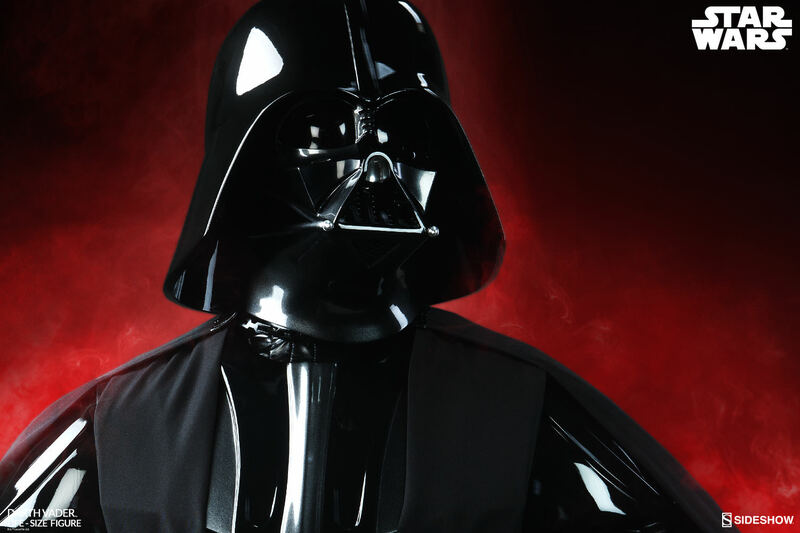 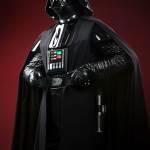 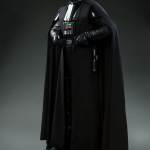 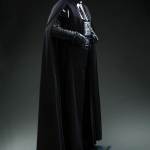 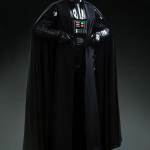 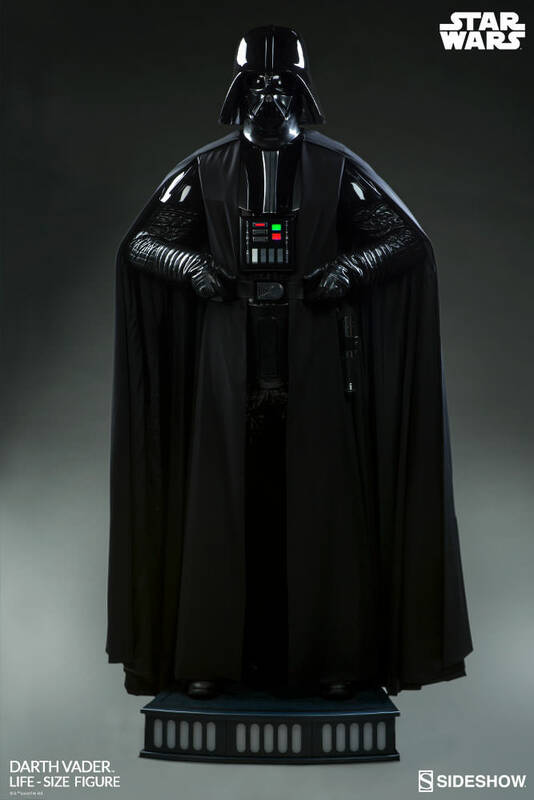 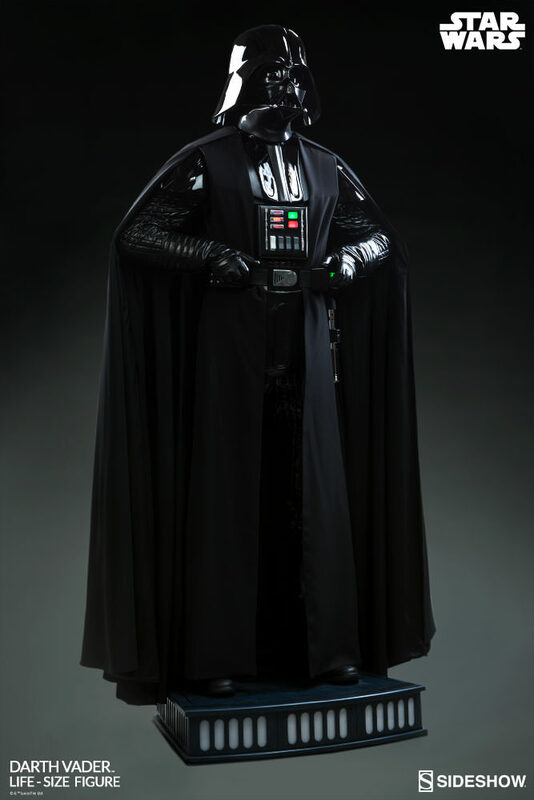 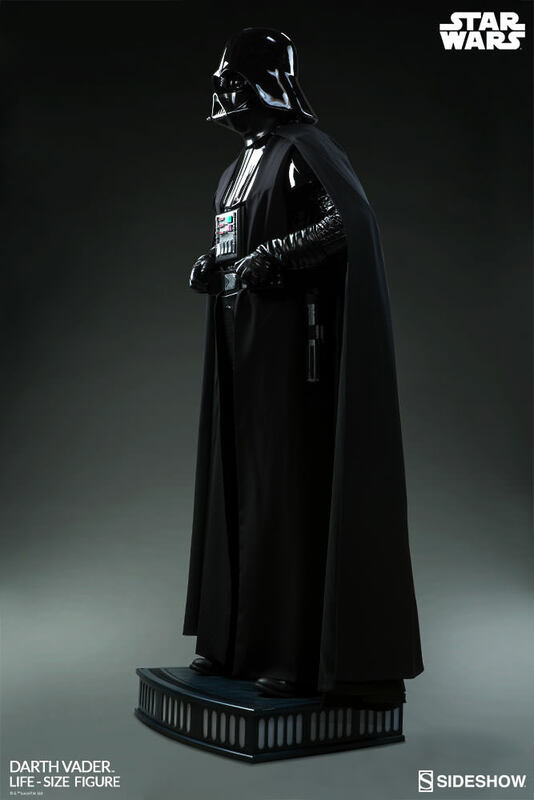 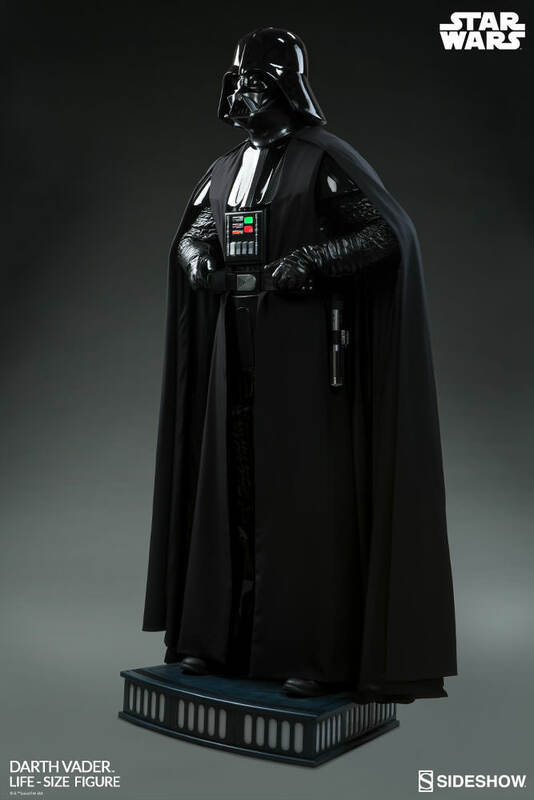 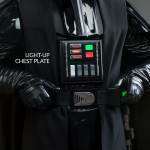 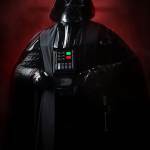 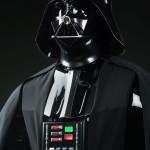 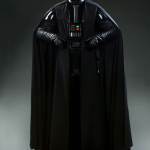 Darth Vader features an articulated neck, light up LED function on the chest plate, and a tailored fabric outfit. 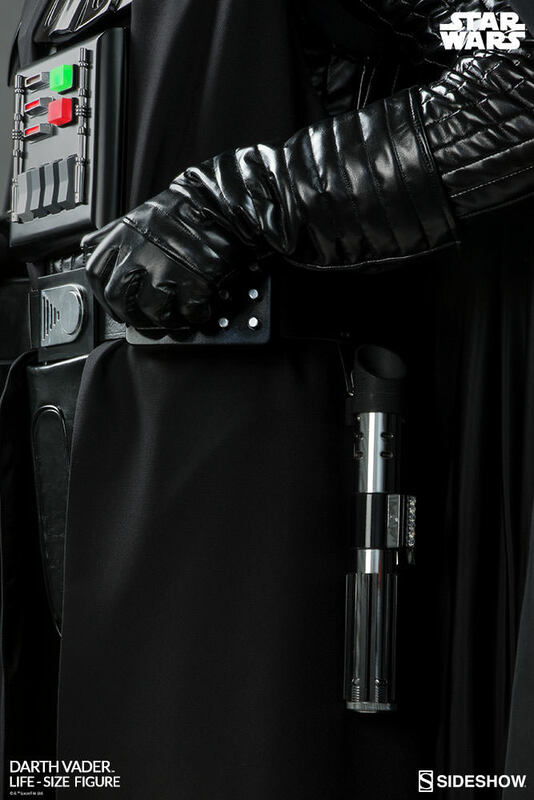 Pre-orders begin on Thursday, May 4th, 2017 sometime between 9:00 AM and 12:00 Noon Pacific Time. 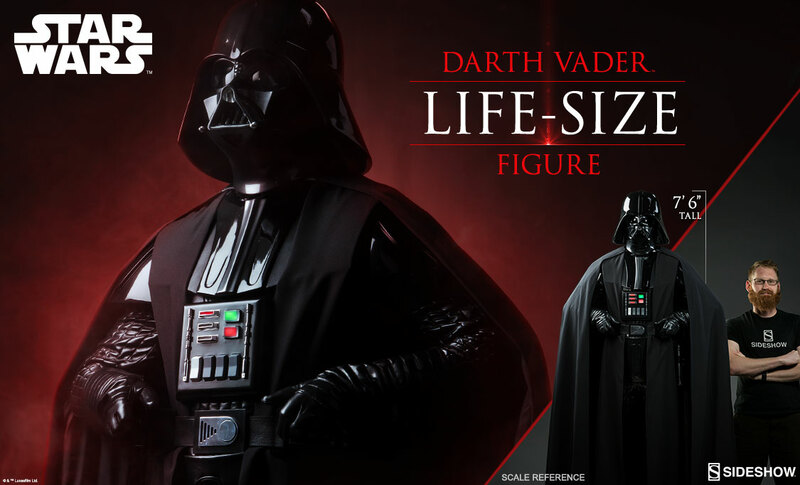 The life size statue will be priced at $8,900. 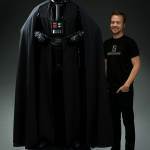 See all of the new photos by reading on.